Home Welcome to Clifford Electric! Building lasting relationships first is our top priority! Clifford Electric has been providing residential and commercial electrical service on the North Shore for nearly three decades. We pride ourselves on the many lasting and successful working relationships with local home and business owners, lighting designers and engineers, contractors and inspectors. It is our number one priority to provide top quality, efficient and timely electrical work for all of our customers. Clifford Electric is fully licensed. Our services are fast, reliable and guaranteed! Please consider us for all your electrical needs. 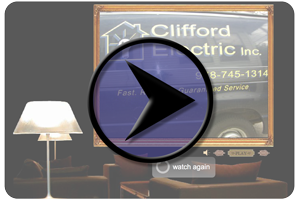 Contact Clifford Electric today 978-745-1314 to learn how we can help you with your next project. Click here to view our Virtual Tour!